Real world Microsoft Excel training that will save your business time, money and effort. Our Excel training will lead you hands-on step by step through Excel showing you how to increase your productivity and save time using experience driven methods. Real world experience driven Microsoft Excel hands-on training. Since 1998, EMAGENIT has been providing Excel training and Excel VBA training for customers like Disney, Citrix, Caterpillar and Rand. Our Excel training workshops are taught hands-on by an experienced Excel instructor who is also a Microsoft Excel developer that creates Microsoft Excel based software for a living. In our Excel training, we teach you how to lay things out, format the worksheet and visually organize information on the worksheet. From basic cell formatting, to outlines, to Conditional Formatting, to Data Validation, we will show you what to use in Excel to make professional looking worksheet reports and dashboards. In the worksheet example above, formulas and logic are used to pull project data from another worksheet table and arrange it on a formatted worksheet dashboard that uses Conditional Formatting to flag project names blue. Real life Microsoft Excel skills taught from an industry perspective. The knowledge relayed in our Excel training is based off of 20 + years of industry experience, not academics. We show you the industry proven Excel techniques that we use to construct Excel software for our customers. In our Excel training, we teach the fundamentals of formula construction, how to use worksheet functions and how to apply them to data analysis. We cover things like logic, summations, lookups...etc. We teach you the proven techniques and formulas that we use to build Excel software for our clients. In the worksheet example above, simple formulas using IF functions are being used to display payments in different worksheet columns based on # of days over. Our Microsoft Excel training can show you new possibilities. In both our Microsoft Excel training and Excel VBA training, we discuss Excel topics that other companies just never explain. We do this right out of the gate starting with our beginning Excel classes. We not only provide instruction on the mechanics of Excel, we show you design strategies, approaches, tricks and construction techniques that allow you to actually build the things you want in Excel. In our Excel training, we teach you things that other companies only scratch the surface on or never cover at all like how to use advanced formulas and array formulas that perform sophisticated data lookups and calculations. We also teach you how to use Excel features like Conditional Formatting to color cells to alert users if values are over their limit. In the worksheet example above, array formulas are being used to read station and product status from another worksheet that links with a database while Conditional Formatting flags a station if the product is overdue in moving. Hands-on Microsoft Excel training tailored to your needs. An experienced Excel developer will led you hands-on step-by-step in our Excel training	adjusting the training to focus on the topics our attendees want to know. We love to use your examples in our training. No two EMAGENIT Excel training workshops are ever the same. In our Excel training, we can show you how to build high end dashboards using charts, data fusion tools like Power Query, Data Validation, Conditional Formatting, Pivot Tables, drawing shapes and Active X controls. We can show you how to combine it all together to produce high end data visualization tools. In the worksheet example above, doughnut charts, shapes and Conditional Formatting is being used in the dashboard construction. The charts read data from another worksheet that is linked to an SQL Server database. The shapes update the numbers automatically. Our Excel VBA training can show your company how to work more productive in Excel. Excel coupled with VBA can be used to create amazing pieces of software that can rival anything on the market. That said, Excel VBA sometimes benefits a company the most when used to automate small, error prone, repetitive, time consuming Excel tasks that eat up minutes or hours. Our Excel VBA training will show you how to put these Excel VBA program types together quickly. In our Excel training, we will show you how to use Excel VBA to create powerful reporting, modeling and dashboard tools. We will teach you the programing strategies needed to analyze data, automate reports, power dashboards and build sophisticated models. Our training will take you from beginning VBA to the most advanced VBA programming topics showing you step by step how to code them. In the sample Excel VBA code above, the average for a column is being calculated and placed under it respective column. Row output # and # of columns is adjustable and calculated. An Excel manual loaded with know how and experience. All of our Microsoft Excel training workshops come with a 2200+ page manual for business or engineering/science that you will be able to use afterward to reproduce what you did in the training. Our manuals contain the methods and strategies we use to design Excel software with. Our Microsoft Excel manuals cover everything we trained you on and a whole lot more. With detailed how-to-do pages, hundreds of examples and clocking in at over 2200 pages, it tends to lean to the whole lot more side. Our Microsoft Excel training event details. Our Excel training can either be attended in person or live hands-on online over the internet. 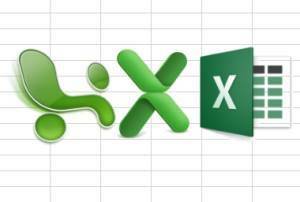 For our Excel training events, we can supply Windows computers for you to use for any version of Microsoft Excel. We do not supply Macs. If we have attendees with Macs, we use a Windows and Mac computer in the training and switch between them when necessary. We do not follow a manual in our Excel training which means our class problems are derived from attendee problems and applied to the outline topics. Where we hold our Excel public event training. Our Excel training public events are held in Thousand Oaks, CA which is located in Ventura County approximately 30 miles west of Los Angeles, CA. Our events start at 8:30 AM PT and end at 4:30 PM PT. Individuals routinely attend our training from Santa Barbara county, Ventura county, Los Angeles county and Orange county including San Diego County. Our public event training also attracts inviduals from all over Northern and Southern CA as well as the entire United States.